The sleek hi-fi console in a well-appointed midcentury American living room might have had a stack of albums by musicians like Frank Sinatra, Elvis Presley, or Patti Page. It was just as likely to have had a selection of LPs from slightly different genres, with such titles as Cocktail Time, Music for a Chinese Dinner at Home, The Perfect Background Music for Your Home Movies, Honeymoon in Hawaii, Strings for a Space Age, or Cairo The Music of Modern Egypt. The brilliantly hued, full-color cover art might show an ideal listener, an ideal living room, an ideal tourist in an exotic landscape--or even an ideal space traveler. 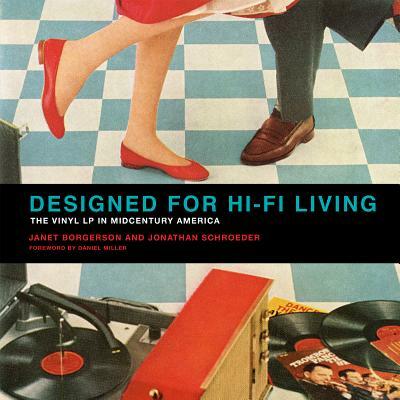 In Designed for Hi-Fi Living, Janet Borgerson and Jonathan Schroeder listen to and look at these vinyl LPs, scouring the cover art and the liner notes, and find that these albums offered a guide for aspirational Americans who yearned to be modern in postwar consumer culture.